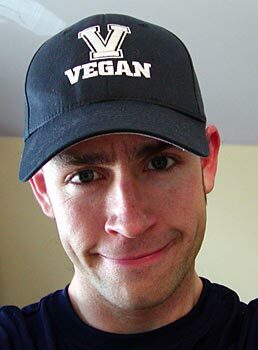 Dave Noisy, located in sunny Victoria, BC, Canada, is a vegan and animal rights activist, cyclist (velodrome and roadie), musician and web designer by trade. Dave got involved with the site to fulfil his urge to boss around people. Seriously. Also, his love of Frank Black's music, and frustration with the limits of an email list, and the broken-up sections of FB fansites - tab here, discography there, lyrics up and over there, etc.. Dave is the kind of someone who likes to bring these sorta things together, and just happened to have the right skills for it. He has been playing guitar and singing along since the late 80's, and has been recording for a good amount of that time as well. You can check out 40+ 'demo' songs (indie rawk, power-folk, counter-pop) under his band project called 'The Noisies' at www.TheNoisies.com. His latest collection of 23 songs, titled The Folk Fission Odyssey. Some of Dave's favorite musicians and bands include Beck, Stephen Malkmus, Martin Tielli (Rheostatics), Ford Pier, Robyn Hitchcock, Blur, Tom Waits, Lou Barlow, Roger Waters, Neil Young, Doug Martsch (Built to Spill), Modest Mouse, Death Cab for Cutie, Dismemberment Plan, Trail of Dead, Flaming Lips, Ember Swift, Tamara Williamson, Sarah Slean, Kristin Hersh, Gay Dad, Mike O'Neill, Sonic Youth, White Stripes, XTC, Quasi, and a handful of classic bands like the Buzzcocks and Stranglers. William Shatner is beyond words. In his leisure time, Dave does the above stuff, as well as cooking vegan delights, reading fantasy and sci-fi novels, and he loves anything to do with fish.